Never Fear What is Hidden in Your Carpet Again! Clean the Unseen with Home Pure Innovation’s Soniclean! We’ve all seen the As Seen On TV vacuum infomercial where the Soniclean vacuum has such a powerful suction that it sticks to the wall. But have you ever wondered if it truly is the best vacuum on the market or even in all of Summit County, Ohio? When it comes to late night infomercials, sometimes you don’t always get what you are expecting, but the folks at Home Pure Innovations in Akron, Ohio are excited to say that with the Soniclean, you won’t be disappointed! With this affordable vacuum you can use it in every room of your Cuyahoga Falls, Ohio home! We all want to find an affordable vacuum that leaves our homes clean without completely costing us an arm and a leg. That’s exactly what the Soniclean vacuum does! As the first vacuum to incorporate the “sonic technology”, Soniclean combines its fierce suction, friction free gliding and patented pulsating plate to produce vibrations to loosen and clean even the most microscopic sources of dirt that can be found in the carpet of your Cuyahoga Falls home. Operating at a rate of 12,000 vibrations per minute, it’s no wonder that it serves as the best vacuum on the market for loosening deep, ground-in dust and dirt. But there’s more to the Soniclean than its innovative, sonic technology. Your will never again have to worry about your vacuum smelling foul again, because with its fragrance pods, it will always keep that fresh clean smell. It serves to clean both carpeted and hardwood floor with two modes of cleaning. With its innovated jam sensor, your vacuum will automatically shut off if anything becomes jammed in the brush. And you will never have to worry about when to change your genuine hepa filtered bag again, as it has a red indicator light to let you know when it’s time for a new one! By stopping into Home Pure Innovations’ Akron location, you can have one of the experts show you just how powerful, light-weight and flexible it is. With suction so strong that it can lift up to 150 pounds, the dirt hidden deep within your carpet doesn’t stand a chance! Never again will you have to struggle to lift and carry a heavy vacuum cleaner up a flight of stairs. Its sleek design leaves this unit extremely lightweight and flexible. Cleaning your Summit County home has never been so easy! Whether you saw the As Seen On TV commercial or are just looking to purchase an affordable vacuum, the folks at Home Pure Innovations are excited to be able to provide the Soniclean to the Summit County, Ohio area. With its innovated sonic technology, powerful suction and light-weight frame, it serves as the best vacuum in today’s market. So why worry about the cleanliness of your Cuyahoga Falls, Ohio home again? 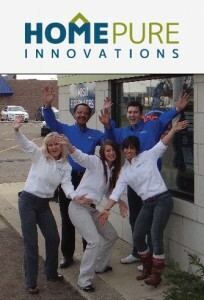 Visit Home Pure Innovations conveniently located in Akron, Ohio and Canton, Ohio! 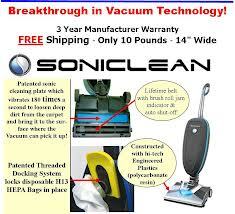 Did we mention that you’ll also be able to take home a Soniclean portable canister vacuum, (valued at $119) for FREE? Save money and be able to enjoy a little rest and relaxation knowing that your home is clean and get your very own Soniclean today! This entry was posted in Air Purifiers, Fireplaces, Heaters, Home Furnishings, Vacuum Sales & Repair and tagged affordable vacuum Cuyahoga Falls Akron Summit County Ohio, As Seen on TV vacuum Cuyahoga Falls Akron Summit County Ohio, best vacuum Cuyahoga Falls Akron Summit County Ohio, Home Pure Innovations by admin. Bookmark the permalink.